The Project Information window displays properties of your project, such as the location and last build date, and lets you set author details and free text notes. The Author and Notes fields can contain any information you like. They are shown by default on the Welcome Tab. 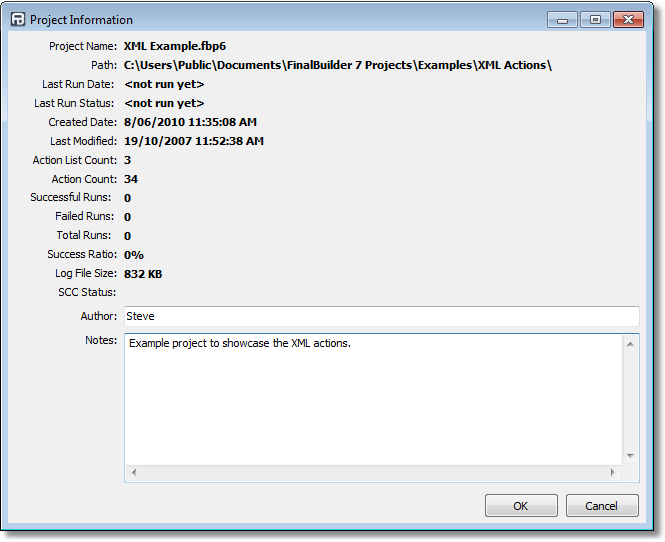 • Double-click the Project Information node in the Project Tab. • Select Project Information in the Project menu. Note: The project information for a project called "project1" is written to a file called "project1.fbpinf" in the same directory. This file must always be writable.